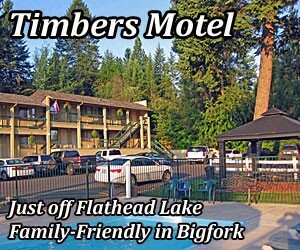 Settle into your cabin, walk to the beachfront of Flathead Lake and get ready for a Glacier National Park adventure! Full kitchens, cable TV. Just miles from Bigfork and Kalispell, our 3-bedroom cabin comfortably sleeps 8 which can be booked as one home, or each room separately. Only 30 minutes to Glacier Park. With spectaluar views of Flathead Lake from all of its thirty fireplace suites, the Mountain Lake Lodge is a great place for your Glacier vacation.